Tulane’s centers, programs and institutes brings preeminent scholars, policy makers, and practitioners to the law school to engage with our students, faculty and broader community on a range of topics of local, national and international significance. 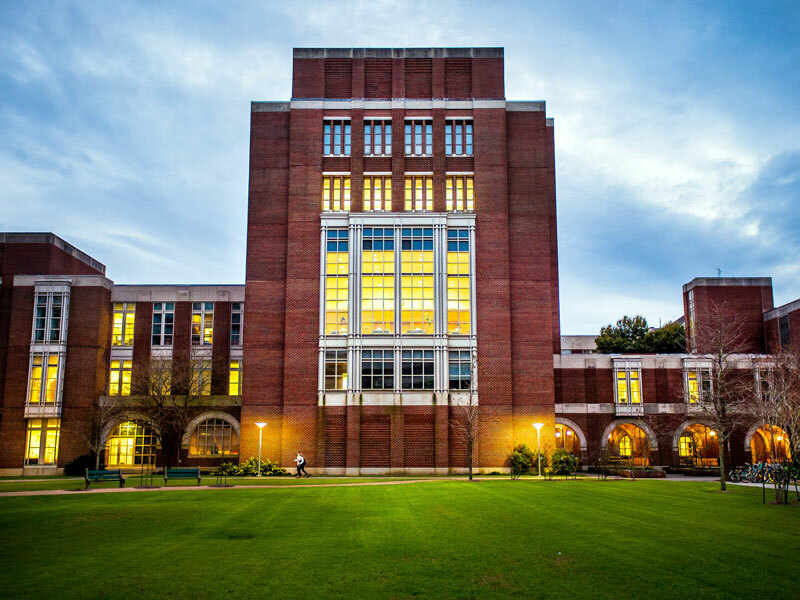 The Center for Energy Law leverages its location in the heart of America’s energy corridor and Tulane's long leadership in the closely allied fields of environmental, international, and maritime law to conduct cutting-edge research in energy law. Located in the extraordinary setting of post-Katrina New Orleans, the Lower Mississippi River and the Gulf Coast, Tulane provides a unique academic experience in environmental, energy and sustainable development law and policy. The Eason Weinmann Center for International and Comparative Law coordinates academic exchanges and oversees comparative law scholarship and other activities designed to enhance Tulane's scholarly reputation in the comparative law area. The Maritime Law Center functions as an operating division of the law school, coordinating Tulane’s various maritime-related programs. The Center's staff and students represent disadvantaged clients in the legislative and administrative processes of government, appearing at the legislature and before state agencies to present the bills and proposed regulations they have researched and drafted for client groups. Founded in 2008, the Center promotes the study, research, teaching and applications of intellectual property law as it intersects with culture and the political economy, within a comparative, international and local context. Tulane’s clinics are the flagship of the school’s experiential learning program, allowing students unparalleled opportunities to work with expert faculty and provide direct client representation before state and federal courts, as well as legislative bodies and administrative agencies. The Institute serves as a center for examination of critical issues and provides Tulane law students with meaningful opportunities for involvement in environmental policy-making relating to the dozens of projects planned and proposed to save South Louisiana. The former Payson Center was created in 1996 as a multi-disciplinary development studies program. Its founding mission was to "enhance the impact of information on social development and the development of less economically advantaged populations." The Program in Regulation and Coordination, which operates under the auspices of the Murphy Institute, examines traditional approaches to regulation, as well as emerging market-based strategies, including alternative regulatory tactics such as voluntary, informational, and cooperative policies. It also focuses on strategies that use regulation to coordinate economic activity both within countries and globally. Every other year in March, hundreds of lawyers, both practicing and academic, converge on the Tulane campus for the Admiralty Law Institute, the oldest (since 1966) and largest continuing legal education program devoted to maritime law. Tulane's Corporate Law Institute is widely regarded as the preeminent M&A and corporate law forum in the country. Since the first Institute in 1951, the Tulane Tax Institute has presented a forum for attorneys, CPAs and estate planners to hear nationally recognized tax and estate planning legal practitioners, law professors and accountants present in-depth reviews of recent tax statutes, regulations and decisions, learn practical tax and estate planning tips and discuss the current issues impacting their practice. The Tulane Estate Planning Institute provides a permanent forum for the study of estate planning laws in Louisiana, the United States and other jurisdictions. The Institute is a two-week summer program that responds to the worldwide demand on legislative drafters for new laws to support the emergence of free market economies and democratic forms of government.